The ultimate outdoor sweater, a no-nonsense masterpiece in pure worsted wool. 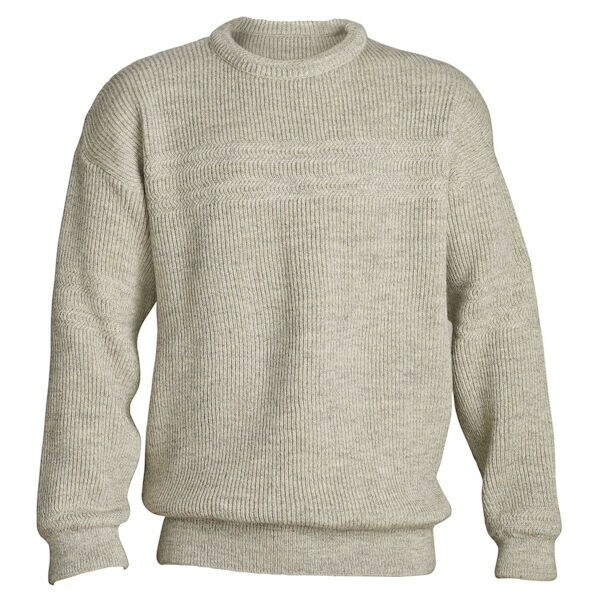 Warm, durable, double-knit, with a subtle zigzag stitch on the chest and sleeves, it will protect him from the elements and hold its shape for years. Size M hangs 27". Hand-wash or dry clean. Made in the village of Ardara, County Donegal, Ireland. Men’s sizes M-XXL.